This is a quick guide on how to deploy Dynamic Host Configuration Protocol Services which enables you as an admin to centrally configure, manage and provide IP addresses to client computers. 1. Open Server Manager Console, select Manage then Add Roles and Features. 2. 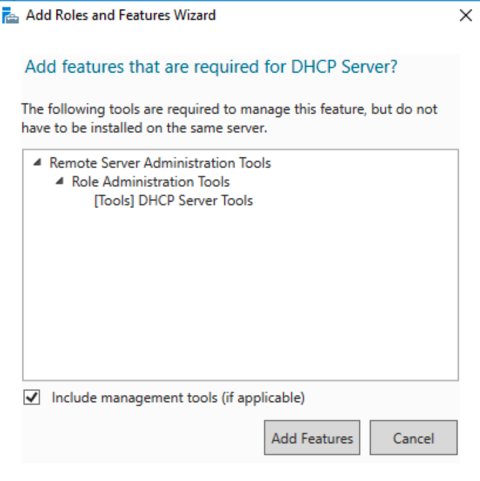 On the Add Roles and Features dialog, next up the Server Roles page then Select DHCP Server plus the required features and Next. 3. 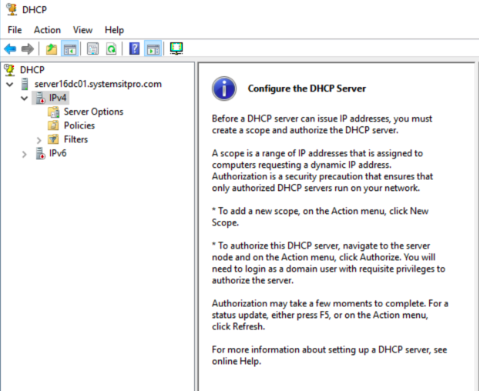 After selecting the DHCP Server role continue to the Confrmation page and click Install. 4. Open the DHCP Console to create your first scope and configure your server. 5. That’s it! 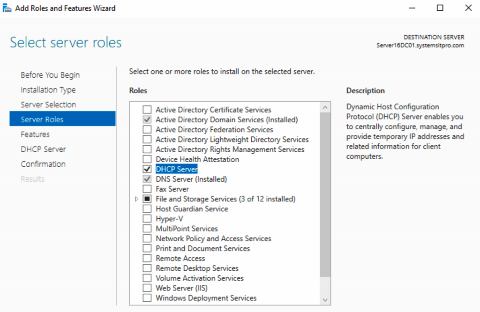 you have now deployed DHCP services Role in your Windows Server 2016 environment. 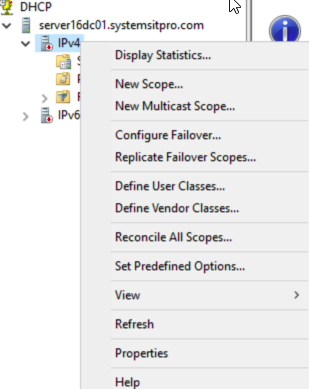 How to create a DHCP Scope? Click here for my next post.